It’s common to be assaulted with misspellings, the use of its for it’s, your for you’re, and their or there for they’re – offenses sometimes unapologetically committed by the grammar felon. People attribute this to the informal language pervasive in text messaging, emails, and on social media platforms like Twitter. The Internet is also home to people who heave unhappy sighs while keeping their itching fingers from typing mile-long rants, instead of engage in a discussion that may escalate into a battle of wills, to name-calling and general nastiness. 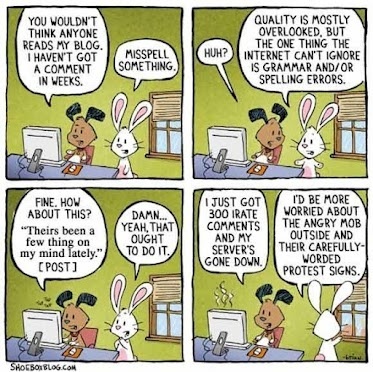 They may not be as proactive as the so-called grammar warriors patrolling even the innermost recesses of the Internet to correct grammar mistakes, but they’re there. Grammar gaffes, however, aren’t exclusive to the English language. In my native Tagalog, for example, some people habitually use ng for nang or din for rin, and vice versa. Last night, I logged a ticket with a company whose online editing functions weren’t working. Thank you for reaching us today. Please accept my apology for the inconvenience has caused you. I will now forward this to our Technical Support for further assistance. I would like to ask for your patience while I’m looking into this for you Jeremy. Rest assured that this will be taken care off and I will get back to you as soonest. I stared at the message in stunned silence, not expecting the reply from any of the brand’s customer-facing representatives. It was a big-name brand, for crying out loud! And then, there was the guy named Jeremy. The technical service rep he said he would refer my issue to, perhaps? Or was the email just copied from another email he sent to a customer named Jeremy? 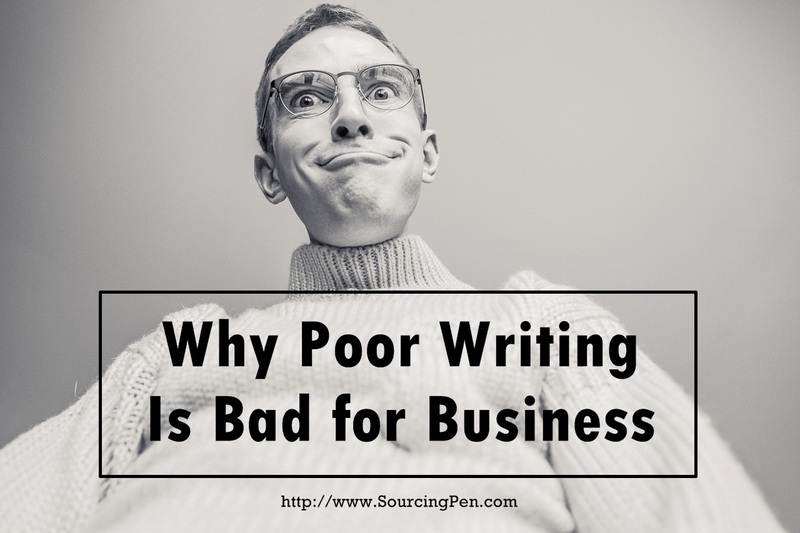 Poor writing can kill your business. You’ll never hear about it when an employee’s poor writing makes a bad impression. You won’t know who it impacted or how. It’s just not something most readers care enough about to bother reporting. But rest assured they do notice, and not in a good way. By presenting readers with subpar content, you are putting your business at risk of losing valuable word-of-mouth marketing. Or even worse, you’ll be subject to negative word-of-mouth attention. Almost everybody said that poor grammar and spelling would not only negatively affect their view of the business in question, it would make them actively avoid it. Users may not care if their friend uses Internet shorthand or makes an error in an email, but they’ll judge more harshly if the error originates with a business owner or is made by a professional social media manager representing a brand. 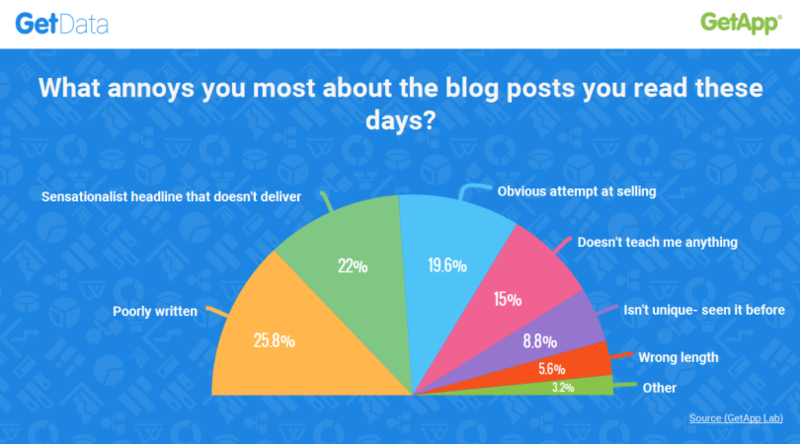 Research by GetData, GetApp’s SaaS and SMB research arm, reveals that poorly written content is what annoys Internet users the most, followed by sensationalist headlines. I’m like most folks who find poor writing from businesses a turn-off. If you haven’t yet checked how your customer-facing employees represent your brand in the way they communicate, do yourself a favor and find out. Your hard work being trumped by writing mistakes that can easily be rectified is hardly a risk worth taking. 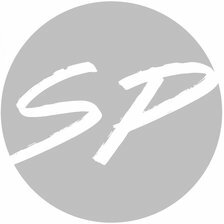 Freelance Writing: Side Job or Business?